'Tis the season to be jolly so what better way to incite some Christmas spirit than an alcoholic advent calendar? While we don't recommend swapping your morning espresso shot with a gulp of gin, the daily promise of a tiny tipple surely beats a measly mouthful of Cadbury's. It's no secret Christmas is a time for over-indulging in all things food and drink so why not start as you mean to go on by investing in an alcoholic advent calendar? I.e. the single best thing to come out of 2016, second only to the wine-dispensing Christmas stocking. Your countdown to the most wonderful time of the year can now be booze-fuelled thanks to the gin geniuses at Gin Foundry - 'tis the season to be jolly after all. The London-based experts have answered our Christmas wishes and defied the curse of 2016 in a post-Donald-Trump-is-president world by bringing us unprecedented joy in the form of an advent calendar stuffed with mini bottles of scrumptious spirits. 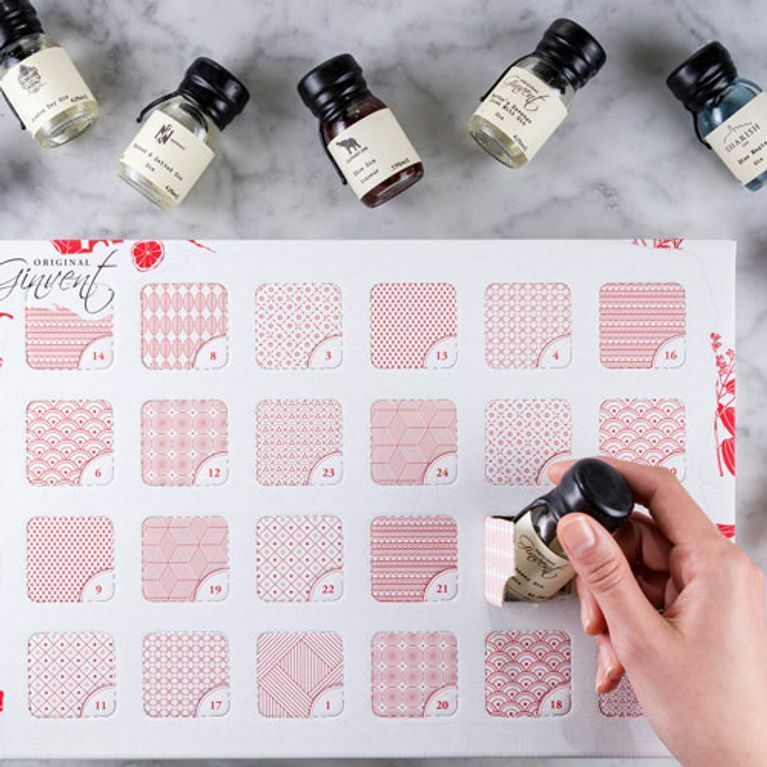 The appropriately-named Ginvent Calendar boasts a different type of the good stuff - from little-known, independent distilleries to global brands - behind every single door for your drinking pleasure. Merry Christmas, indeed. Each 3cl bottle of booze contains only the best gins - from fruit-infused to colour-changing varieties - sourced from all over the world in the Gin Foundry's mission to get your Christmas off to a brilliantly boozy start. The box itself is suitably festive but the price tag less so - at an eye-watering £124.95 it's a gift reserved only for the most dedicated gin drinkers. If gin's not your thing, fear not - there's also craft beer, wine and even chocolate liqueur varieties.